About a week ago, the Byrd Ensemble uploaded a video all about their new recording of the works of Peter Hallock (b. 1924). The new CD is called Draw on sweet night. It is a wonderful tribute to the man who originated the Compline Service at St. Mark’s Cathedral, and to whom I’m dedicating my book. For last Sunday’s Compline service at St. Mark’s Cathedral, Seattle, Jason Anderson, the director of the Compline Choir, had us sing the hymn “Dear Lord and Father of mankind.” He asked us, as he does occasionally, to guess the reason for his selection. 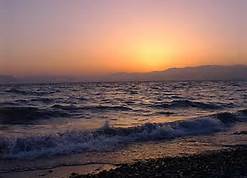 Many got it right away – the second verse made reference to Syria, as in “beside the Syrian Sea” (really a reference to the Sea of Galilee). Also, the hymn reminds us that in times when the temptation is to act in haste, to take some time for stillness and calm reflection. The words of the hymn were excerpted from the last portion of the poem “The Brewing of Soma” written in 1872 by John Greenleaf Whittier (1807-1892), American Quaker poet and advocate for the abolition of slavery. The poem begins with a description of the ecstatic religions of ancient times (assisted by the drinking of soma juice), and becomes a plea against what Whittier considered the frenzied religious fervor of the “revivalist meetings” of his day. The last six verses of the poem (12 through 17) are a prayer for the return to peace, calm and simplicity. Five of these six verses became the familiar hymn, included by Garrett Horder in his Congregational Hymns (1884). He omitted verse 15, but I have included it below to show how the reference to manna from heaven sets up the next verse (“drop thy still dews of quietness”). The two most popular musical settings of the hymn are Repton, by C. H. H. Parry (1848-1918), and Rest, by Frederic Charles Maker (1844-1927). The Compline Choir sang the latter, and I felt that we were all especially inspired that evening. It is always gratifying to sing with others who can turn out such quality work with only ten minutes of rehearsal. And it’s such fun to sing close harmony on nineteenth-century hymns (think “barbershop”), especially in the third verse, where the tenor part sings the melody an ocatave lower, and the top part sings the tenor part an octave higher. For the Whittier poem, see The Brewing of Soma. Parry’s hymn tune Repton, can be heard in a wonderful version (especially the soprano descant at the end) here. The podcast of last week’s Office of Compline can be heard on king.org – just look for “Compline Service” in the drop-down menu under “On Demand”. “Dear Lord and Father of mankind,” in a setting by Searle Wright, is one of the musical examples in my book, Prayer as Night Falls: Experiencing Compline, to be published in November. 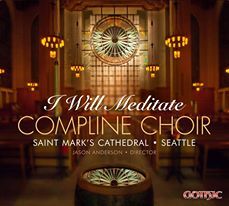 In May, the Compline Choir from St. Mark’s Cathedral, Seattle released a new CD entitled I Will Meditate, which not only is the first CD of the Compline Service since Feathers of Green Gold* was released in 1994, but contains a number of recording premieres of music written for the Compline Choir by Peter Hallock and Richard Proulx. The recording is published by Loft Recordings, LLC, and is available at The Gothic Catalog, where also one may read the program notes that Jason Anderson, director of the Compline Choir, and I co-wrote. The CD is also available at Amazon and iTtunes, and via The Episcopal Bookstore or The Cathedral Shop in Seattle. You can listen to various sound bites from the recording on the Amazon site. Several pieces by Richard Proulx (1937-2010) were written or arranged for the choir when Richard was organist / choirmaster in the Seattle area from 1970-1980; two of these are on the recording: the “Nunc dimittis,” and the arrangement of the hymn-tune Land of Rest. Another piece from this period was his wonderful arrangement of “Amazing Grace,” which we sing often, and recorded on a CD of American hymn and spiritual arrangements called Music of Faith and Longing* (Peter Hallock contributed an arrangement of the second verse in 1997). The other two Proulx pieces are “I Will Meditate” (which gives the CD its title), and “In Praise of Music.” Both pieces are dedicated to the Compline Choir, and were written in the last fifteen years (see the program notes for more information). 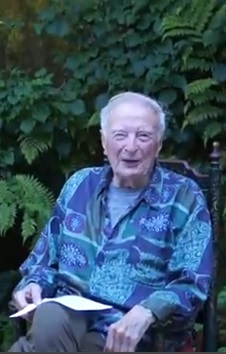 Peter Hallock (b. 1924), our founder and director from 1956-2009, wrote many settings of the psalms for the Compline Choir (and he still sends us the occasional new one), and the recording features eight of these gems that have not appeared on other recordings. I have included a few of these as musical examples in my forthcoming book, Prayer as Night Falls: Experiencing Compline, which will be available November 1. The examples will also include some of his other psalms that were recorded on the now out-of-print Feathers of Green Gold. Let’s hope that future CDs will be forthcoming. In the meantime, you can look to more recordings of the Compline Choir on a new website, prayerasnightfalls.com, that will accompany the book when it comes out.